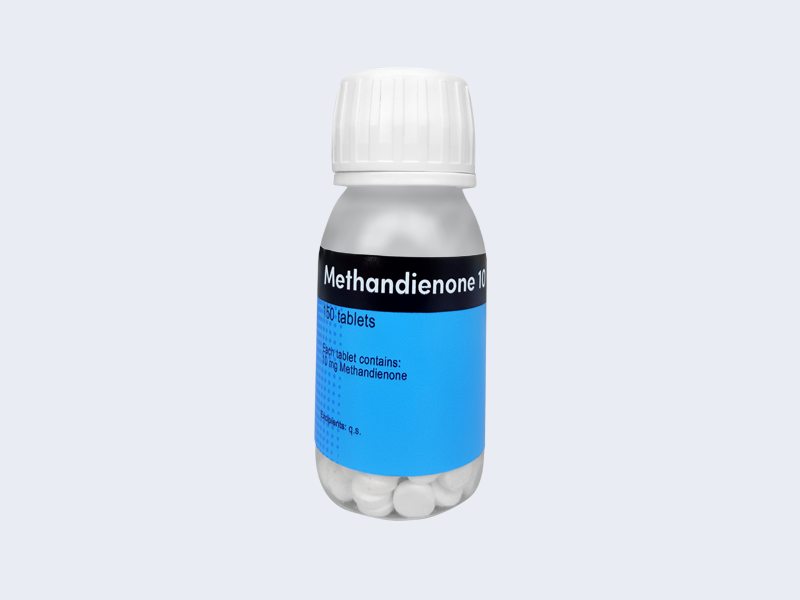 Methandienone is a very popular oral anabolic steroid which derives from testosterone and possesses high androgenic qualities. While using Methandienone one may experience weight gain together with increase in strength. Methandienone significantly improves recovery of glycogen stores depleted during exercise. Also, it reduces the activity of cortisol, so that it avoids the breakdown of muscle fibers in the post-training period. Due to the fact that Methandienone causes water retention, the steroid user may get that puffy look. Methandienone is liver toxic, which is why it is recommended to take live support products before during and after cycle.